The school of local church held a glorious graduation ceremony for it's class of 2013 on Saturday 19th October, 2013. 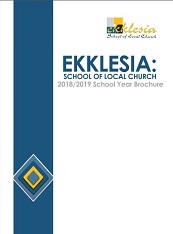 At its inception, the vision of Ekklesia was a School for the “called out ones,” a School of Local Church, where someone who sensed a call into the fulltime ministry could be trained; a school where 2 Timothy 2:2 could be fulfilled: “And the things that you have heard from me among many witnesses, commit these to faithful men who will be able to teach others also.” At that time the focus was to equip men and women for full time ministry (clergy) based in a local Church. Laity Path: Here, we equip believers with a deeper knowledge of the Word of God, and practical, hands on relevant knowledge in various aspects of Christian endeavour including service, leadership, music and business. As Christians, we have “The Blessing advantage” and we are meant to excel in everything we set our hands to. Unfortunately this is not always what we see. The courses of study on the laity path will equip students to excel and maximize their potential in their areas of interest. Only then can we truly shine as believers in the midst of a dark dying world. Clergy Path: It’s a sad sight to see so many sincere young men and women with a call of God upon their lives and yet without any knowledge of what to do next. They wander without purpose and direction because they were never really fully equipped or guided into the most honourable, most rewarding and yet most challenging “job” on earth! 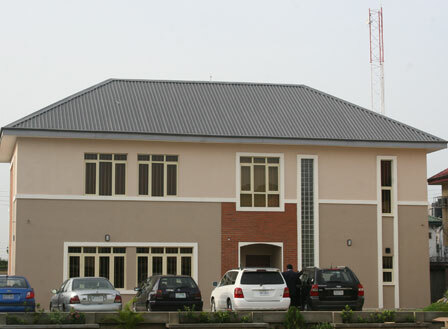 Here, we train men and women for full time ministry based in a local Church. The training is not just theoretical as students have the opportunity to have real practical training in a dynamic, growing, Bible based ministry and mission field. The opportunity to learn and receive impartation at the “feet” of a Faculty of men and women of God who have proved their ministries in integrity, simplicity and sincerity over the years is one that the students cherish for a lifetime. I often relive the moments at Ekklesia as I go down memory lane and recall the hours of in-depth instruction, and more particularly impartation as we sat down at the feet of our instructors, proven ministers as they taught us by precepts and practice what they had learned in ministry. I’m proud to be one of the pioneer students of this great school of ministry. I don’t think I would have got the attention and depth of what was poured into me from another place. I am proud of my heritage. © 2019 Ekklesia School, All rights reserved.